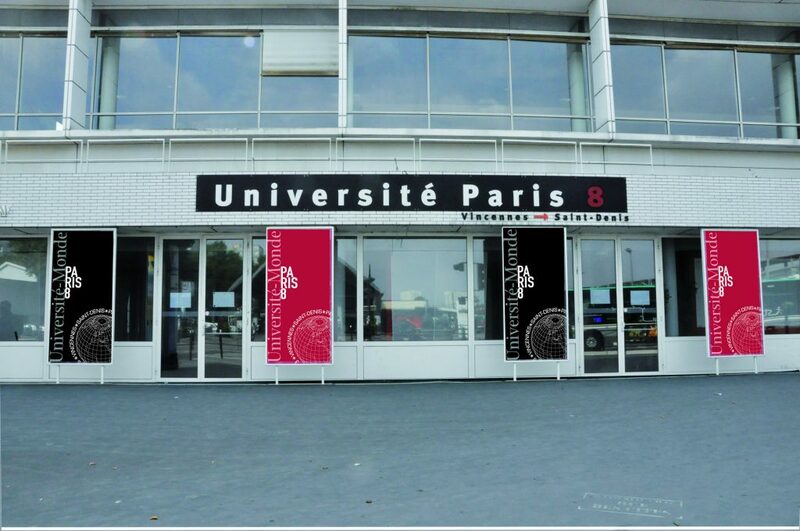 Founded as an experimental academic centre in Vincennes in 1969, Université Paris 8 moved to Saint-Denis in 1980. Our university has become a major teaching and research centre for humanities in the Île-de-France region. The main objective of Université Paris 8 – with its focus on humanities, human sciences, arts and social scienceshas always been to give students a better understanding of the modern world while enabling them, at the same time, to achieve a long-term integration into society. The innovative nature of the research undertaken here can be traced back to the various fields studied at Université Paris 8. Our university became a pioneer in fields that were usually not approached by other French universities : psychoanalysis, urban planning, geopolitics, cinema, plastic arts, gender studies, etc. To this day, Université Paris 8 has always insisted on maintaining a strong link between research and teaching, adapting teaching methods to different kinds of audiences, and providing education for all at every stage of life. –Excerpt from Paris 8’s website. Paris 8 has an exceptional offer of classes in French as a foreign language through their COM/FLE department and through their MEEO department (Methodology of Written and Oral expression). This is a great choice for students hoping to improve their level of French.